Happy Halloween! Are you dressed up? Ready to give out candy to all the trick or treaters? Did you know there aren't any calories in Halloween Candy? Darn it, I was just teasing! 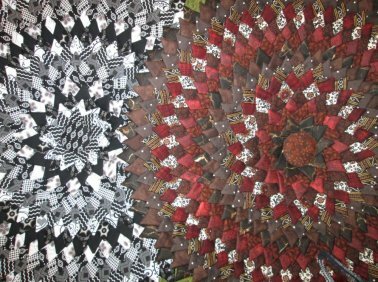 The Gypsy Quilt ~ Want to show off those incredible large scale prints? 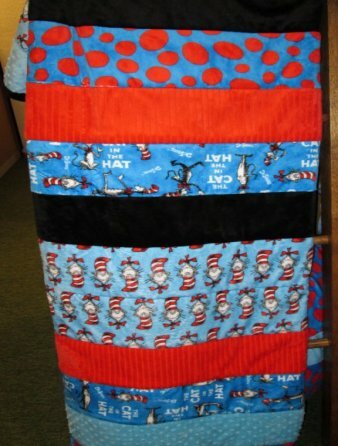 Want a fast, fabulous bed quilt? You need Gypsy! 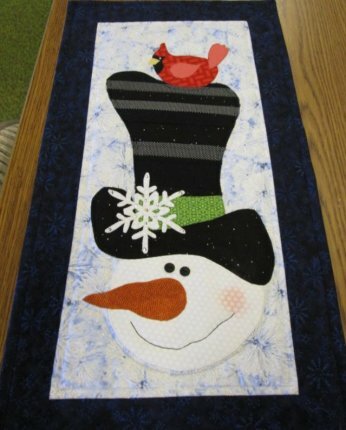 A snowman wallhanging to bring cheer during those snowy months. 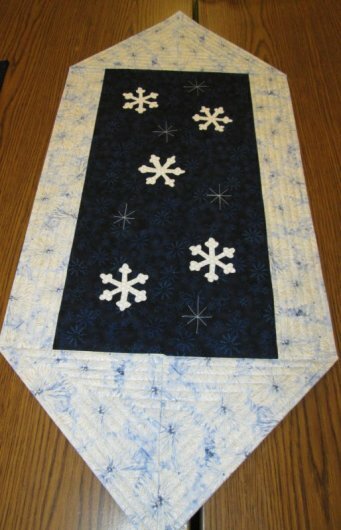 An easy table runner for our snowy season! Isn't this fabric just gorgeous? Such texture and design which can really enhance so many projects! Here are the classes we will be having in November and December. Don't forget to get signed up! What was She Thinking Rug- November 2, 2013 @ 9:00 am- Using 3 1/2" squares and folding the fabric, you will be able to make this unique rug and everyone will be wanting one! Here are 2 other color ways to make your rugs. 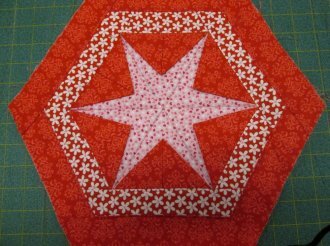 Prairie Star Table Topper- November 7, 2013 @ 6:30 pm- This table topper can be made in so many sizes and is beautiful in any choice of fabrics. 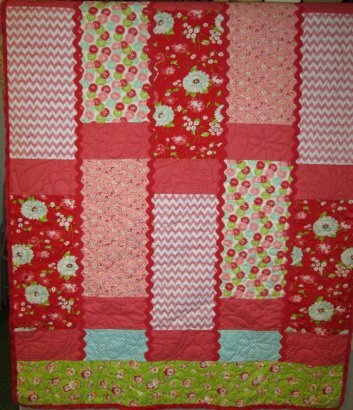 Row by Row Minkee Quilts- November 23, 2013 @ 9:00 am- Learn to make these gorgeous and comfy quilts without having to send it to the quilter. They are quilt as you go. Stargello- November 9, 2013 @ 10:00 am- Using the Jewel Box Gem Thirty Tool (Required for class). 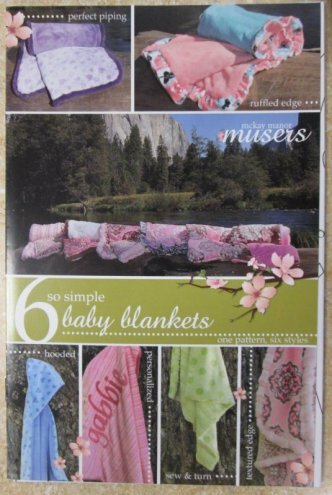 6 So Simple Baby Blankets- December 5, 2013 @ 6:30 pm- The blankets were designed with super soft cuddle fabrics in mind and can range from lots of fun to very elegant. Did you ever wonder why your long arm quilter asks for extra backing fabric and batting? Well in order for it to be quilted, it has to be adhered to the canvas on the rails. They also need to have tension on the sides because the needle goes up and down so fast that the fabric bounces and that tension helps keep it from shifting. It also, helps if there are any creases in the fabric from when it was on the bolt. A couple of things to remember when taking your quilt to a long arm quilter is have the top ironed real well. If you are having any stitch in the ditch done, don't iron your seams open. (The machine needle will cut your thread) Allow, around 4-5" of extra batting and backing fabric. Also, make sure your backing fabric is cut straight. 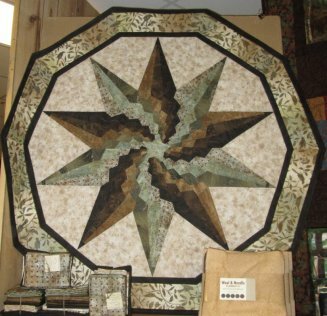 Your quilter will talk with you about designs and thread color. 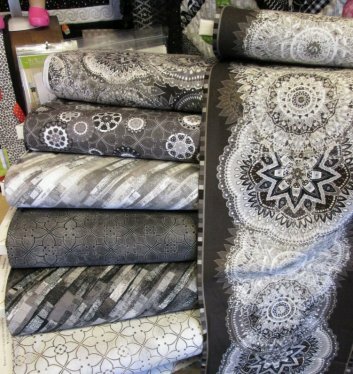 She wants to make your quilt just as beautiful as you envision it to be.